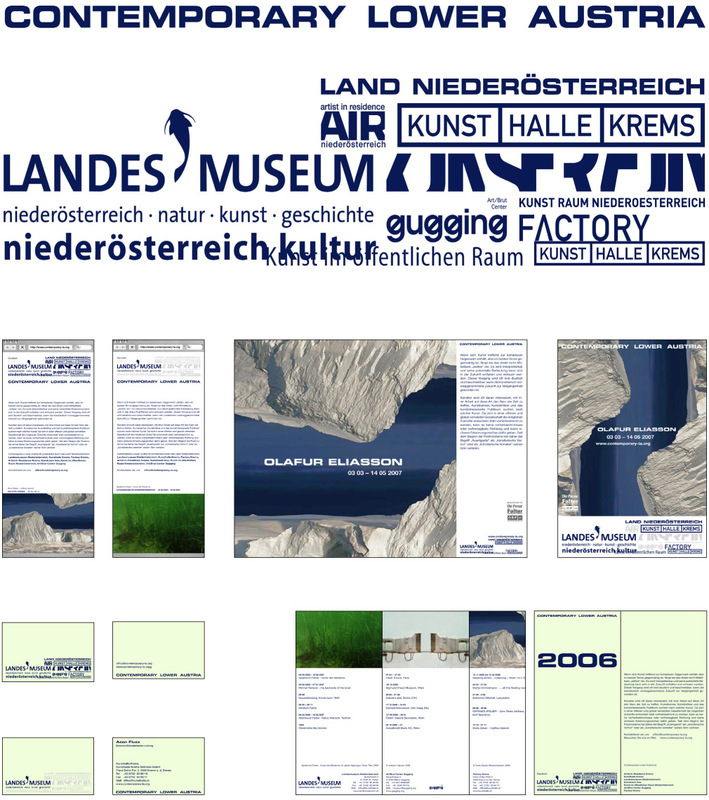 Galleries and Museums of Lower Austria created an umbrella brand of their institutions engaged in contemporary art. They needed a Corporate Identity to present themselves in an international context. We proposed in the competition to take all logos of the institutions to form the new logo of ‘Contemporary Lower Austria’*. In this way it was also flexible to grow, just by adding more logos to the ‘logo - cloud’. The main colour is dark blue and a fluoresced colour, that just shimmers yellow but glows at night. Yellow and blue are the colours of the Austrian district Lower Austria. 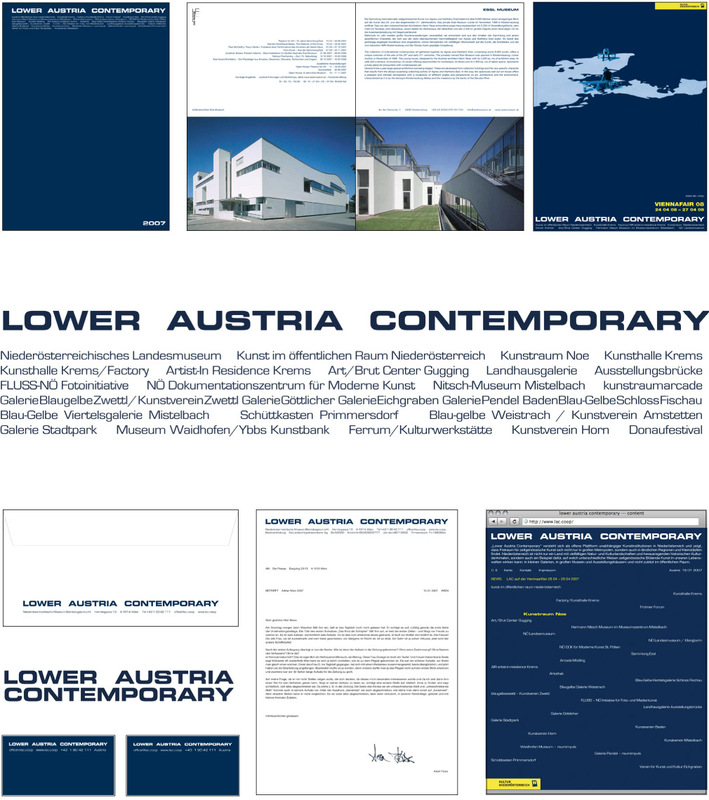 Galleries and Museums of Lower Austria created an umbrella brand of their institutions engaged in contemporary art. They needed a Corporate Identity to present themselves in an international context. The Logo consists of the ‘Logo - Name’ and the names of the institutions. It has to be flexible in its composition, because on various events different institutions participate. Also the ‘Niederoesterreich Kultur’ logo was refreshed, for its usage in the LAC-context. It is coloured in the much fresher yellow of the ‘Lac-ci’ – that as the second colour has a really dark blue.